Fred Breedlove partnered with Mountain View Community Church and World Impact Network to teach First Aid/CPR and other life-saving skills in Kenya. Taught First Aid/CPR classes to 460 people in South Kinangop County and Makueni County. Co-taught First Aid/CPR classes with Pastor Sammy Ngumba (Merciful International Guild). Taught Snake Bite First Aid to 343 people in remote areas of Makueni County. Met with Makueni County Minister of Health and received his endorsement for our training. Provided humanitarian assistance to families dealing with Aids/HIV, medical injuries, extreme poverty. Provided sheep for poor families to raise and derive an income from the wool & milk from the sheep. Provided 300+ First Aid kits to students who received First Aid/CPR training. 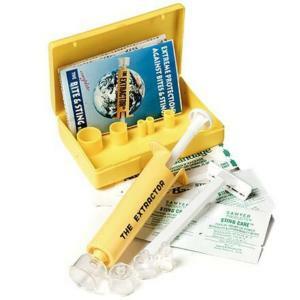 Provided 55 Snake Bite First Aid kits to people living in remote areas where danger of poisonous snake bites. South Kinangop County/Njabini – remote areas NE of Nairobi, base for Pastor Sammy’s Merciful International Guild ministry and Happy Spiritual Church. Classes were taught at three local schools to teachers, school administrators, and students. Makueni County - remote area SE of Nairobi where snake bites from Puff Adders, King Cobras, Spitting Cobras, and other poisonous snakes are a daily threat to people who also live in extreme poverty. Classes included emphasized lessons in Snake Bite First Aid and snake bite prevention. Sawyers Snake Bite First Aid Kits were distributed in remote areas where medical help is not readily available. People in these areas are often 2-5 hours away from medical care.